Pipe Liner Epoxy Saturation: How Do You Know the CIPP Is Fully Soaked? In order to line plumbing pipes with a flexible pipe liner and have it adhere and harden correctly the Cured-in-Place (CIPP) liner must be fully soaked with epoxy resin, but how do pipe lining companies, like Nu Flow of Chicago, ensure that the pipe liner epoxy saturation is fully soaked? 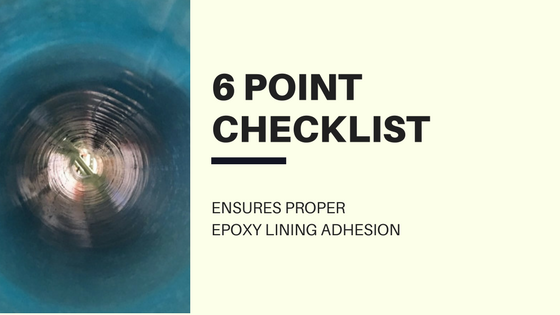 One of the most important steps in the process of installing an epoxy liner involves thoroughly saturating it with epoxy. If areas of the liner are completely missed in the saturation process or not saturated deeply enough, it can affect adhesion to the pipe, resulting in bumps, wrinkles and areas where the liner is not attached. In order to prevent these potential pipe liner problems, our professional pipe lining technicians follow a specific checklist to ensure proper saturation. The Epoxy Is Mixed – Our epoxy resin is a two-part viscous liquid. The two parts are mixed in a large bucket with an electric mixing tool to ensure they are properly combined. The result is a colored epoxy resin that is readily identifiable. The Liner Is Filled – We then pour the epoxy into the center of the liner before placing it on a mat for the remainder of the saturation process. The Liner Is Saturated – The liner is placed on a mat with two heavy compacting rollers at each end. As the liner becomes thoroughly saturated, it turns from white to the color of the epoxy. When the color is even, we know complete saturation has occurred. The Liner Is Prepared for Insertion – After the liner has been fully saturated, it is folded, taped and attached to a cable. The Liner Is Inserted – One end of the liner is inserted into the pipe. The cable is used to pull the epoxy liner into the proper position. The Liner Is Pressed Into Place – Air pressure via an inflatable bladder is used to expand the liner and press it against the sides of the host pipe. Once the pressure reaches 18PSI, the liner is considered fully expanded and pressed completely against the sides of the host pipe. The air pressure is maintained throughout the curing process, which takes a minimum of four hours. Technological advancements in CIPP pipe lining have made it possible to line all types of sewer and drain pipes without the need to tear through walls, landscaping, sidewalks and driveways, which translate into less costly plumbing pipe repairs. Here at Nu Flow, our process involves performing a thorough camera inspection of the pipe to be lined and a complete pipe cleaning prior to installing the epoxy saturated pipe liner. Performing these two steps prior to the insertion offers the best chance at pipe lining success because it ensures that the pipes can hold up to the pipe lining process and that the epoxy soaked liner will completely adhere to the host pipe’s walls. Once the process is finished, your newly lined pipes will function as if you’ve just installed completely new plumbing pipes. To learn more about the CIPP lining process and to schedule a pipe assessment, call us at 815-790-9000.